Very few cars have the same qualities as the Volkswagen Jetta. It is one of the company’s bestselling models within the United States. The vehicle’s name is a reference to the Atlantic Jetstream because, as Volkswagen says, it combines the power and luxury of modern jetliners. For most of its history, this wagon and sedan has managed to appeal to customers with its powerful turbocharged engines and upscale design. The latest Jetta model somehow deviates from this approach; it is now less distinctive and slightly cheaper. 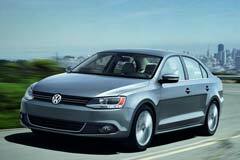 However, whether you are purchasing the new model or a used Volkswagen Jetta, the Jetta is definitely a solid pick. There are several used Volkswagen Jetta models to choose from. A common factor about most of the earlier Jetta models is that they set themselves apart from Japanese and domestic economy sedans by providing a distinct European driving experience and interior. 2017 Jetta 1.4T S 2017 Volkswagen Jetta for sale!